Taylor & Tristan are high school sweethearts, and they tied the knot at the absolutely beautiful Shenandoah Woods pavilion in Stanley, Virginia. The weather was gorgeous - blue skies, sunshine, and cooler October temperatures. The day was filled with love, laughter, and the sweetest people imaginable. Taylor & Tristan - you two were wonderful. I loved your wedding so much and wish all my clients were as laid back and happy as you two are! The minute I met you guys I could see how much you two love each other. In July of 2013 I photographed a wedding down at Sandals Montego Bay in Jamaica and my awesome cousin Laura came along to assist not only in the carrying of my gear, but also in the drinking of pina coladas. 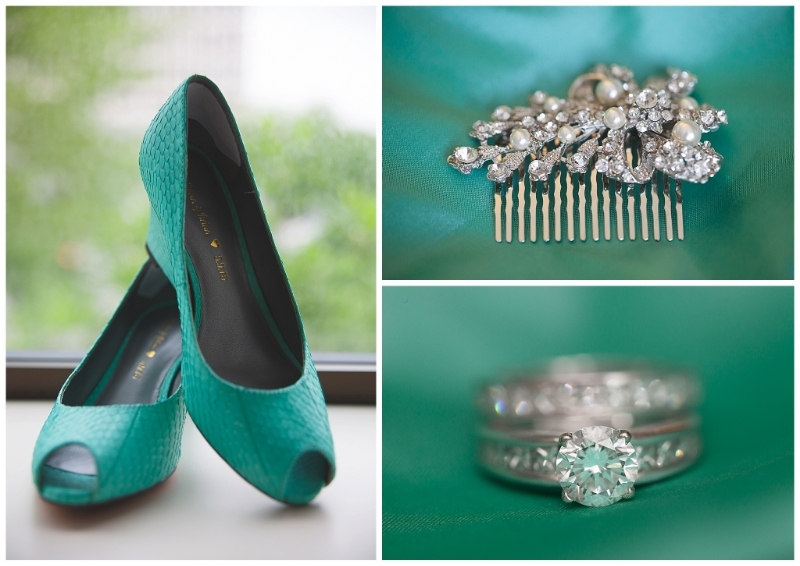 At that point I had no idea that I'd be back to Jamaica that same year to photograph HER wedding. In September of 2013, while on a family vacation, what started as my Aunt Joyce taking a "few photos of the two of them" turned into an engagement session when I commandeered the two of them for engagement photos on the beach at sunset. Then, in November, we arrived at Sandals Negril two days prior to the wedding. Laura & Mark spent their time leading up to the wedding doing what every bride & groom SHOULD be doing before their wedding - lounging on the beach. In fact, up until two hours before the ceremony, they were still there. 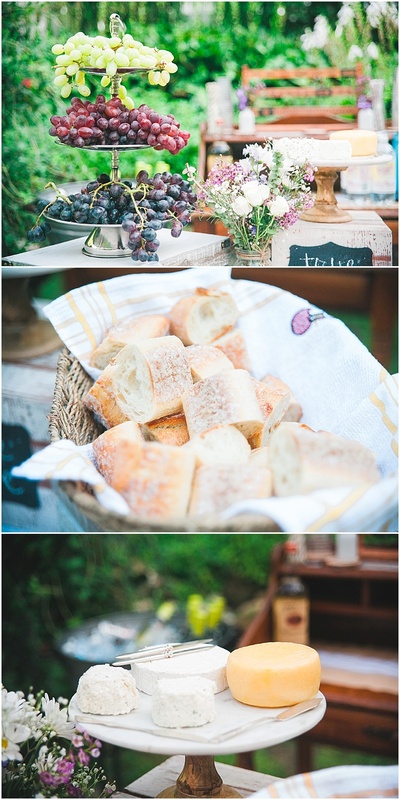 It was the most gloriously relaxed wedding I've ever been to, both as a photographer and as a guest. A friend of Laura's couldn't make it to the wedding but was there in spirit, in the form of a coconut. Not big fans of cake, they opted for the tiniest piece of cake I've ever seen. The resort held a very cute little reception for everyone involved. Then we got to play in the water! These are my favorites I think. They even put their wedding attire back on the next morning for more photos. Laura & Mark, I love you both, and I'm so happy you found each other! Happy Anniversary! What the Heck Should We Wear to Our Engagement Session? You've done everything else: you've scheduled your engagement session, picked the locations, and you're super excited. Only one thing stands in your way. You stand peering into your seemingly endless closet. There are so many options - what in the world will you wear? 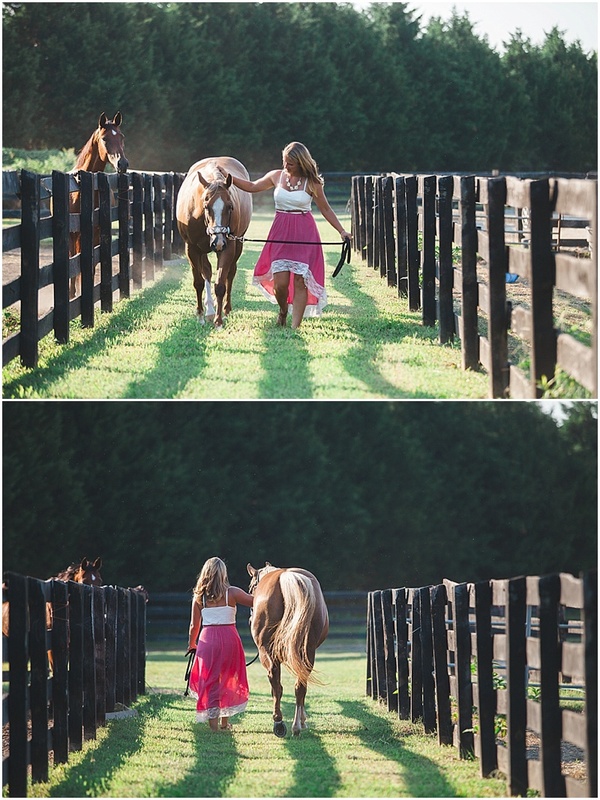 1) Your engagement session is meant to capture your love of each other, not your love of your wardrobe. Outfit changes take time away from your shooting time, so I recommend keeping your outfits to a maximum of two. I recommend a casual outfit and one that is a little more dressy. 2) Be yourself. 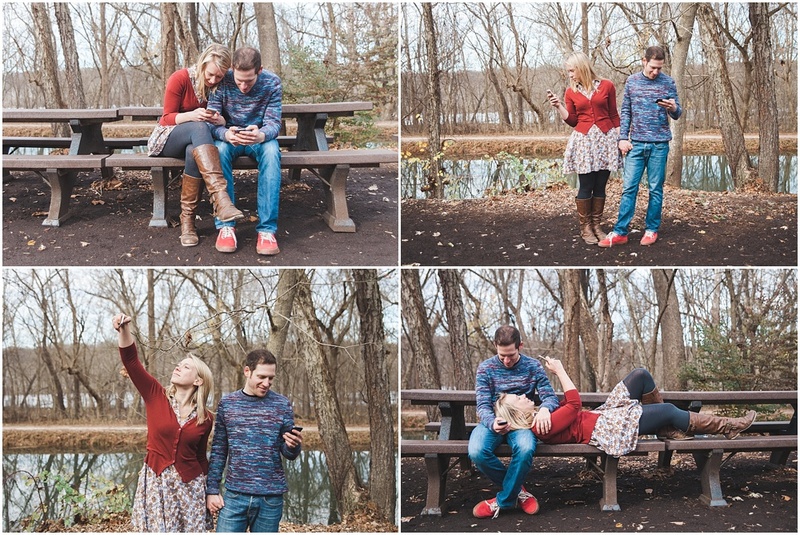 Your engagement photos are an extension of the two of you. I want you to be perfectly comfortable and happy in what you've chosen to wear. If you wear bowties & suspenders every day, feel free to rock those for your session! 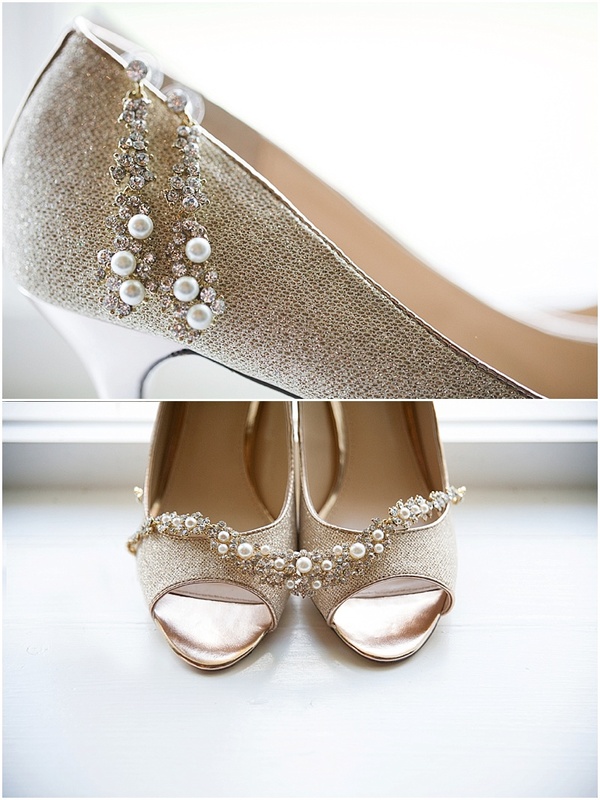 And if you've never worn heels in your life, don't worry about starting now. 3) Wear clothing that fits. It may be your favorite shirt in the whole world, but if it's too baggy or too tight, it won't suddenly look fabulously flattering in photos. Go for pieces that flatter your shape. 4) Coordinate colors and styles. Wear colors that coordinate, but don't worry about matching specifically. Just because one of you wears a blue shirt does not mean the other must also wear a blue shirt. Also, gone are the days of showing up to your session wearing matching white shirts and khakis. Let's see your STYLE! :) Just make sure you are wearing outfits on the same level of casualness or dressiness. 5) Don't be afraid of bright colors and patterns. I wouldn't dress head to toe in zebra print, but if your favorite shirt has a funky pattern, don't be afraid to bust it out! 6) Bring extra accessories! The quickest way to change up the look of your outfit is to switch out your shoes, add a sweater, ditch the scarf, etc. 7) If you can't decide, talk to me! Text me photos of your ideas. Or bring them to the session and we'll pick what will look best, and you don't have to stress. Jenna contacted me about photographing her sweet little elopement and from the start, I knew she'd be a dream to work with and for. 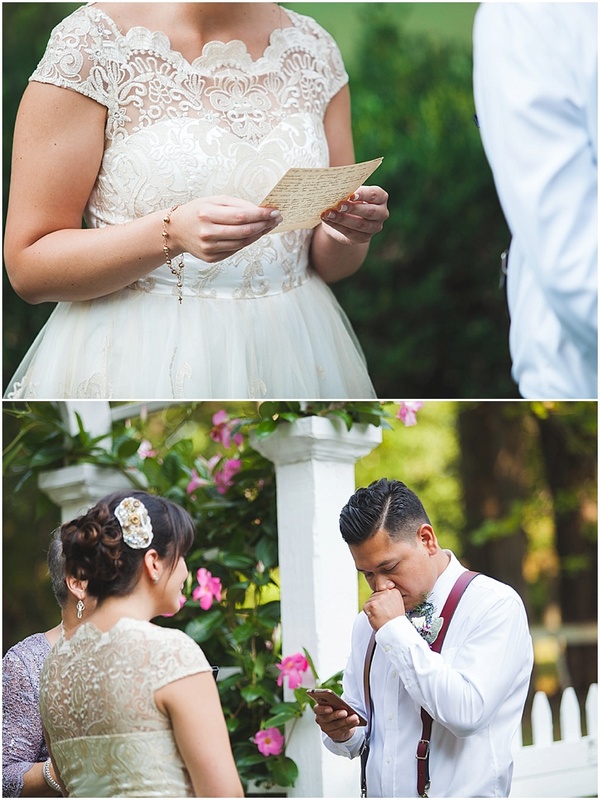 She sent me a link to her pinterest so I could check out her "wedding vibe" as she called it, and I was swooning from that moment on. When I arrived at this lovely little B&B tucked into the woods, it was like stepping into a Thomas Kinkade painting. 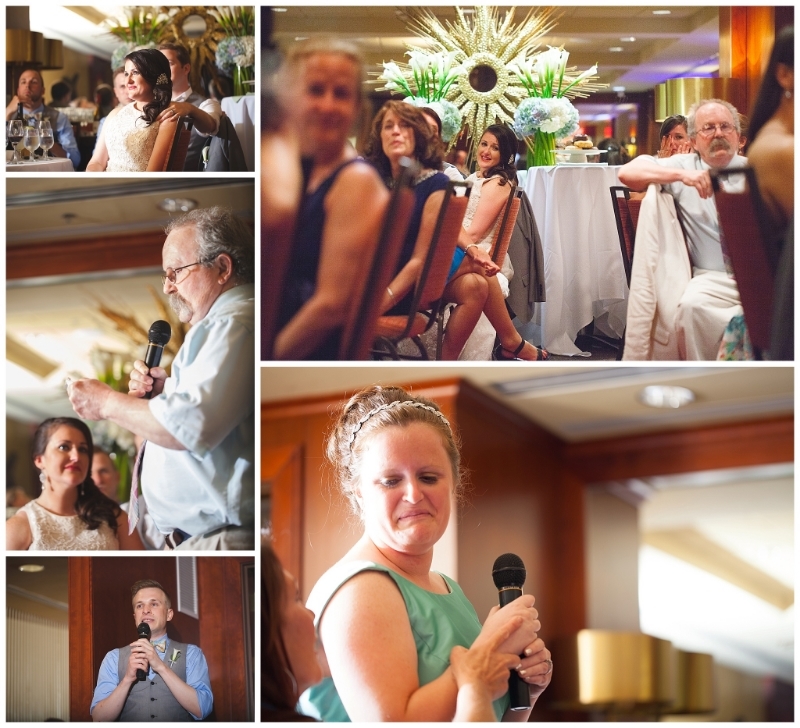 Jenna & Roland - you two were amazing and wonderful and all of those wonderful words and it makes me wildly happy that you picked me to tell your story. 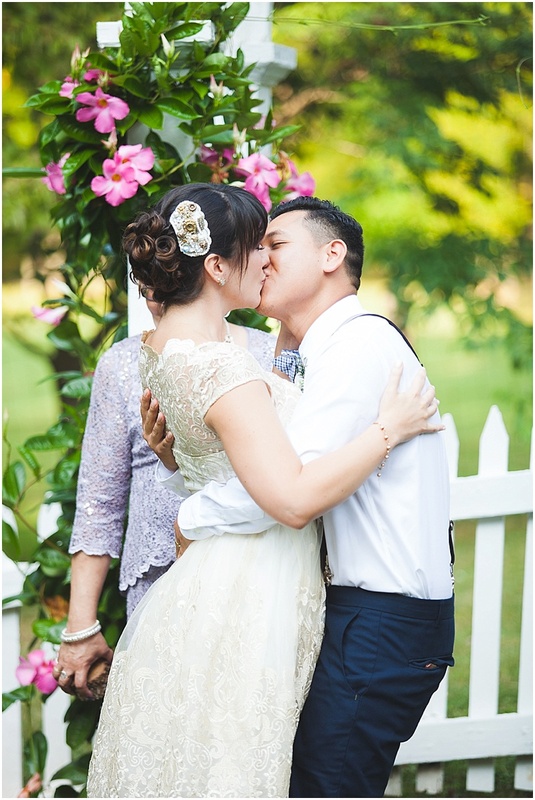 Your love for each other was so beautiful and unmistakable and is exactly why I love doing what I do. So thanks for being two of my new favorite people, and for risking sheep and spiders in search of beautiful wedding photos. ... And Blood Orange San Pellegrino may be my new addiction! 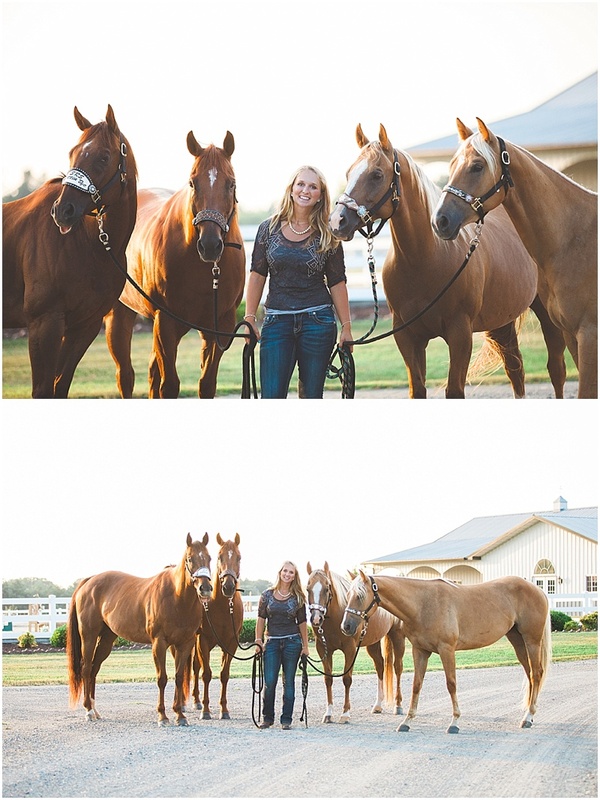 Holly wanted photos of her and her four beautiful Quarter Horses. 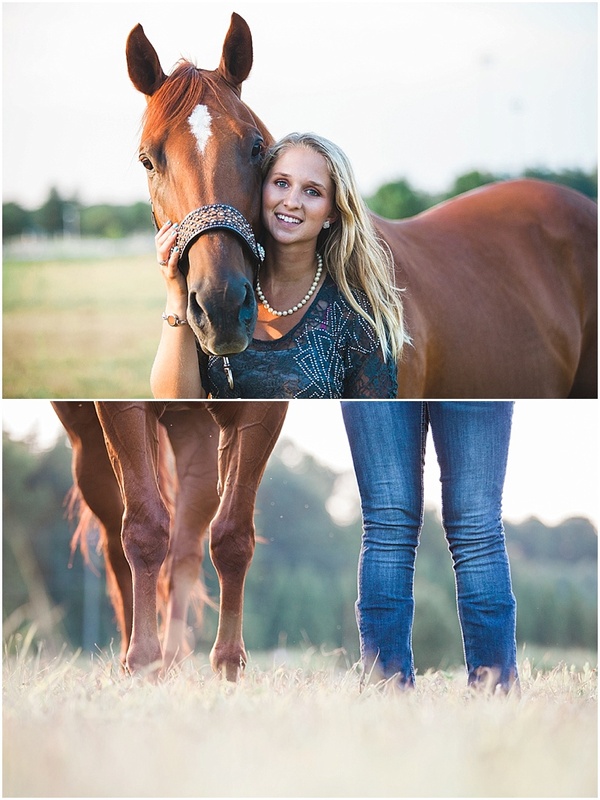 Anyone that knows me knows that I've been horse crazy since the age of six and I love photographing horses, so of course I'm going to jump at the chance! We had a lovely time on a beautiful local farm. The weather may have been a little warm, but man oh man the light was gorgeous. And I do mean gorgeous. See for yourself! Katie & I met in high school, so when she contacted me about shooting her and Sam's wedding, I knew from that moment that it'd be a fantastic day. 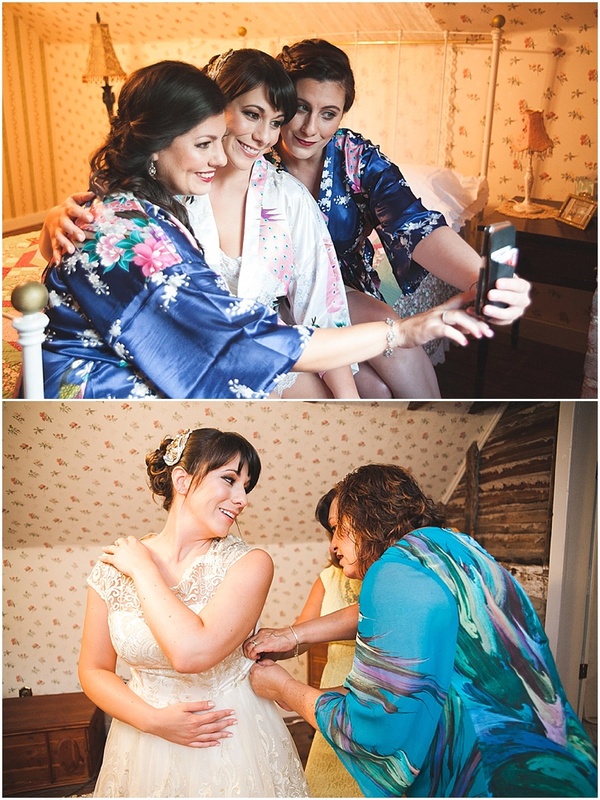 Katie is the epitome of a laid-back bride and I can't appreciate that enough! She arrived at the venue with a smile on her face and that smile only grew bigger as the day progressed. Katie & Sam, you two were two of my most favorite people to photograph, hands down. It's also wonderfully clear how happy the two of you are together. Thank you for trusting me with your wedding day! 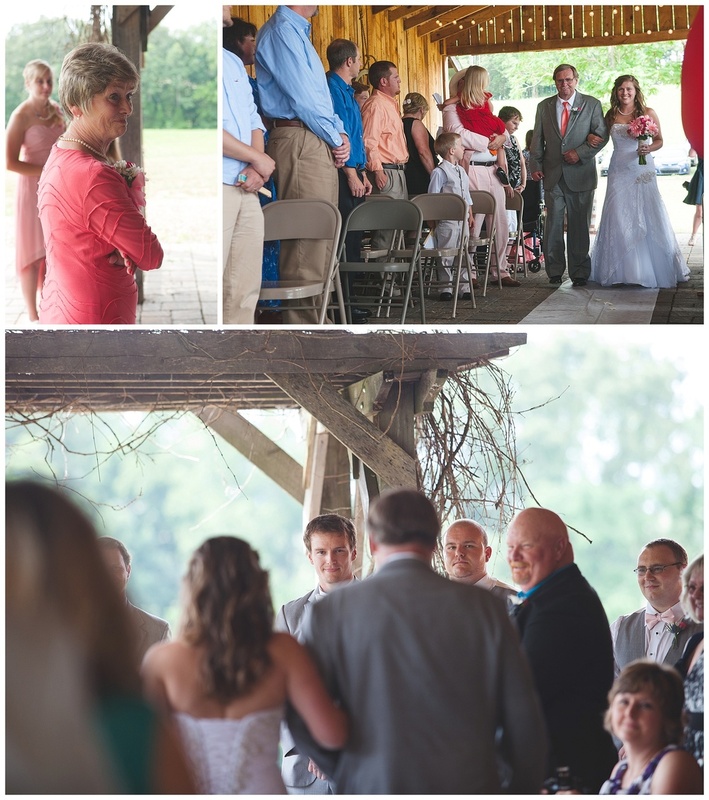 From the moment I met up with Bevin & Brian on their wedding day, I knew it was going to be magical. Though they had not seen each other that morning, their glowing smiles matched perfectly. It was a day filled with sunshine, donuts, laughter, mimosas, and love. Bevin & Brian, you two were a dream to work with. Thank you for the blessing of asking me to capture your beautiful day. The day started at the Courtyard Washington Embassy Row Hotel, at least for the ladies. 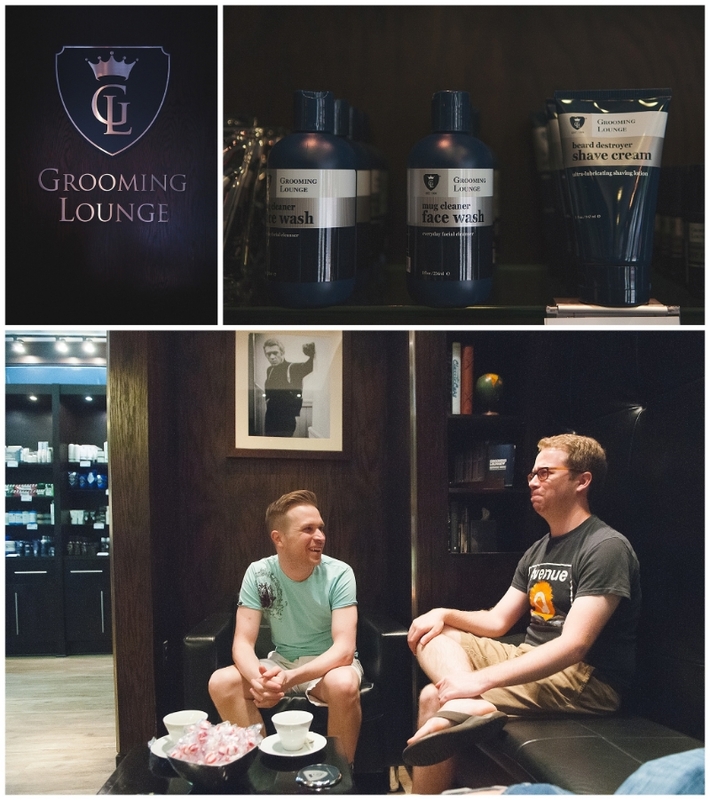 Brian and his brother (and best man) Adam started off the morning at the Grooming Lounge. 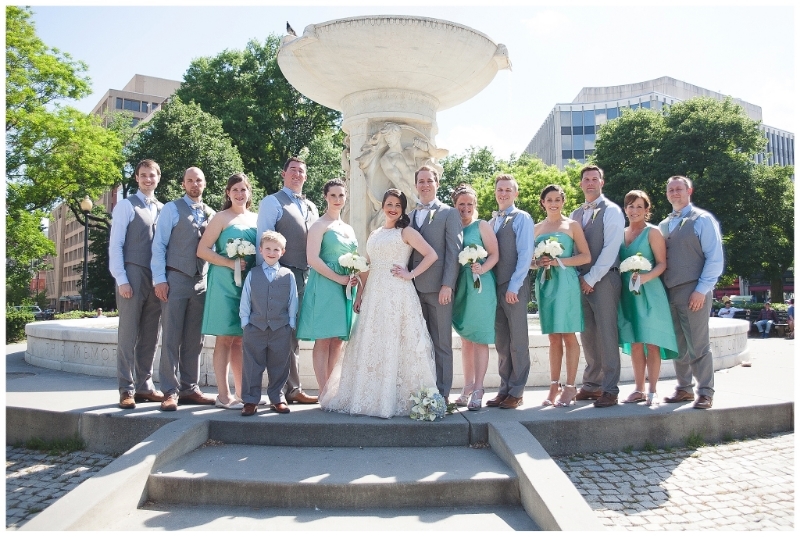 The wedding was held at St. Thomas Apostle Catholic Church in Woodley Park. 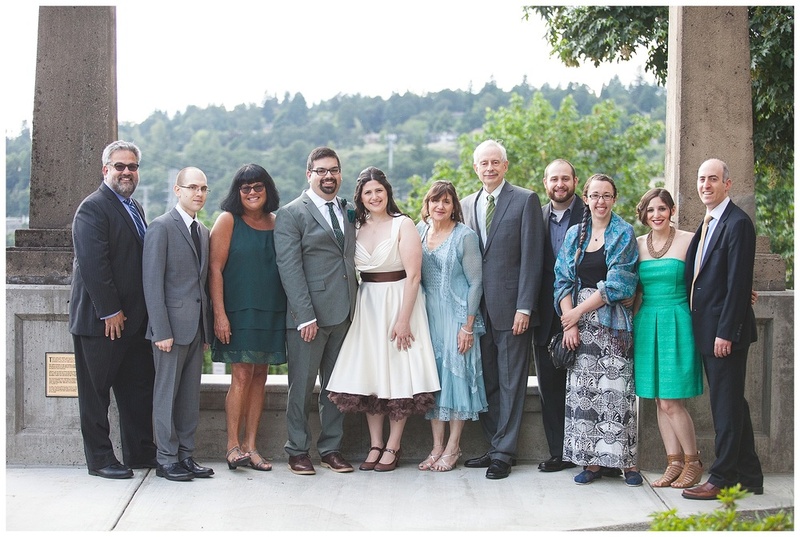 Over Memorial Day, I flew to Oregon to photograph Reecie & Aaron's lovely wedding, held in the Tumwater Room at the Museum of the Oregon Territory, with beautiful views of the Willamette River and Willamette Falls. The love between the two of them clearly triumphed over any worries of the day. It was magical. Reecie and Aaron's family & friends made me feel like family right from the first moment I met them. Reecie & Aaron, you two are amazing. Thank you so much for asking me to be a part of your day! We started the day at the Dosha salon. Seriously the coolest place to get hair and make-up done - look at the cool mirrors and lights! The stylists and makeup artists did such a great job too. After a lunch break, we trekked to the Tumwater Room. Such pretty flowers surrounded the museum, I couldn't help but take advantage of them. 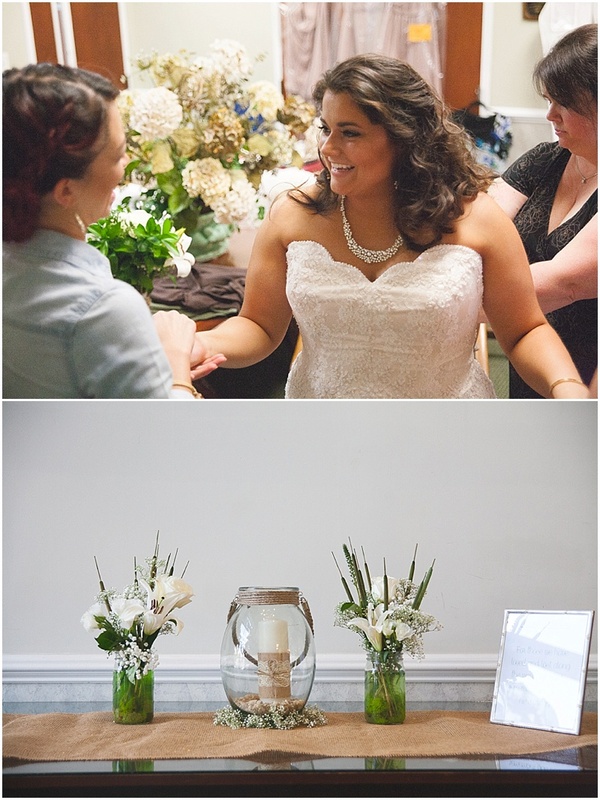 The vows were exchanged and the glass was broken in the gorgeous Tumwater Room. 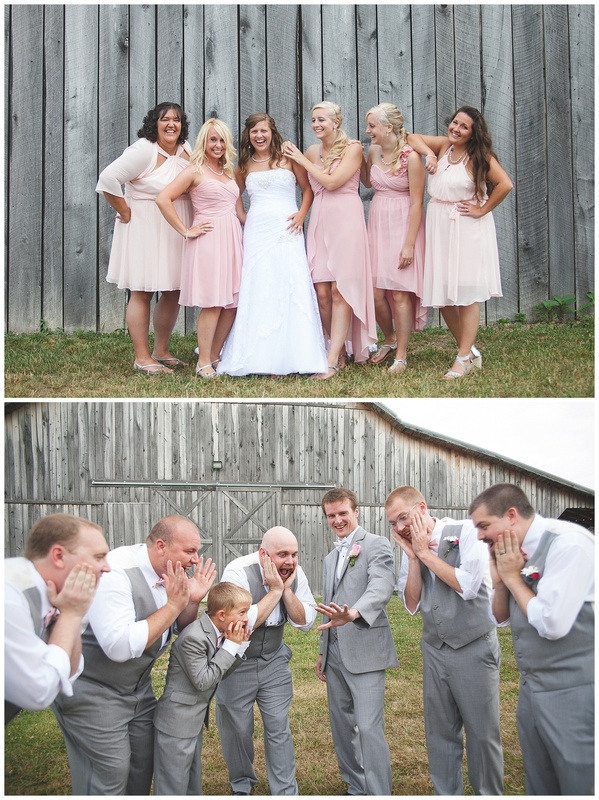 The two families meshed together quite wonderfully - I wish all family formals were this fun! There was even a stormtrooper toss. Reecie had caught the stormtrooper at a previous wedding and wanted to continue the tradition. 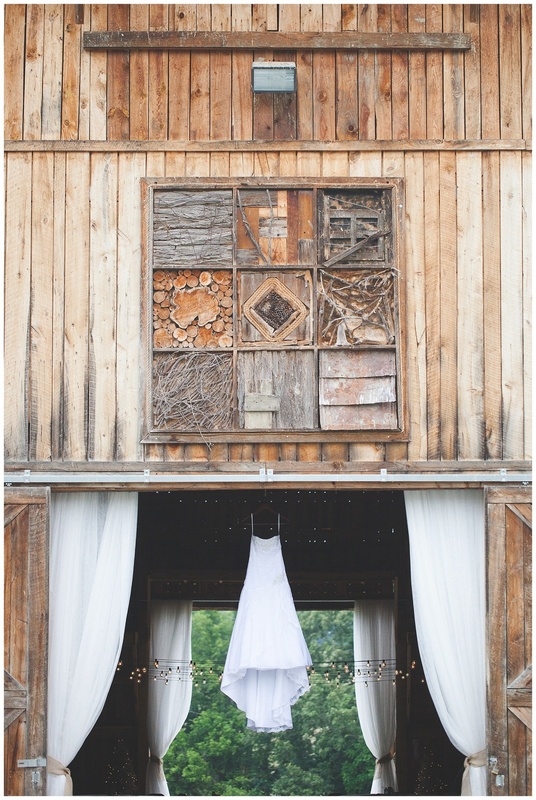 It's been one whole year (and a day) since Nikki & Thomas tied the knot at the beautiful Harvest Acres Farm in Limestone, Tennessee, and as such I thought their wedding would be perfect for kickin' off my brand new blog! Since a picture speaks a thousand words, we'll get right to the good stuff! Nikki & Thomas, I wish you as much love and happiness for the rest of your lives as was felt on your magical wedding day. Special thanks to Alyson at Photography by Alyson Lawton for second shooting with me!